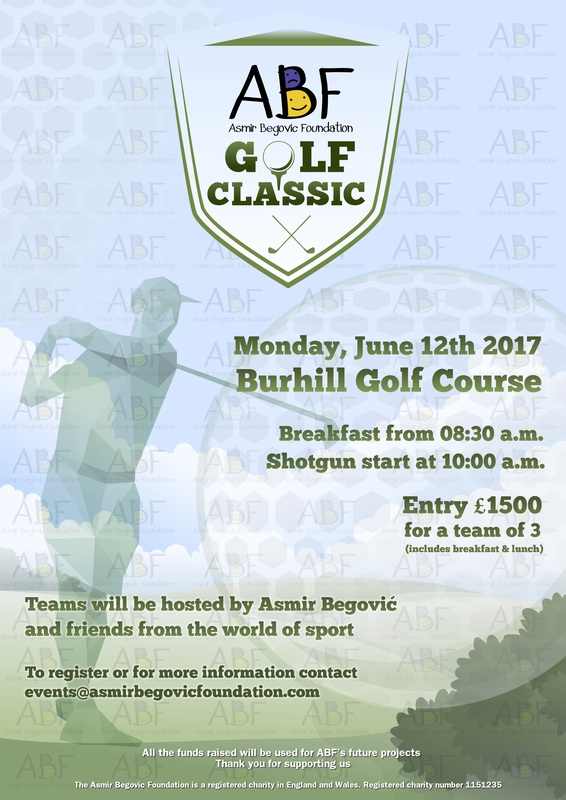 The Asmir Begovic Foundation will be holding their first Golf Classic on Monday 12th June at Burhill Golf Club. The event will take place on Burhill’s Old Course and teams will be hosted by Asmir Begovic and friends from the world of sport, including; Chelsea captain John Terry, Sky Sports pundit Jamie Redknapp and Rugby World Cup winner Matt Dawson MBE amongst others. The Asmir Begovic Foundation was setup in 2013 to build and improve recreational facilities both in England and Bosnia-Herzegovina, encouraging kids to be active and provide them with the opportunity to get involved in sports. Recent projects have included the building of outdoor sports facilities at schools for children with special needs in Bosnian cities Sarajevo and Tuzla and contributing £10,000 towards the refurbishment of the swimming pool at the Mary Hare School for deaf children in Berkshire, England. Entry price is £1500 for a team of three, including breakfast, lunch and a great day on the course!